At 3:30pm on Friday 9 October, I will be presenting a paper based on my experiences developing and teaching ART240: Introduction to Islamic Art & Design at the CIADA (Contemporary Islamic Art, Design and Architecture) conference in Singapore, hosted by Nanyang Technological University. I am pleased to announce that my paper follows a presentation by Eric Broug, author of Islamic Geometric Design. It is exciting to present my research in the company of such leaders in the field of Islamic visual culture. 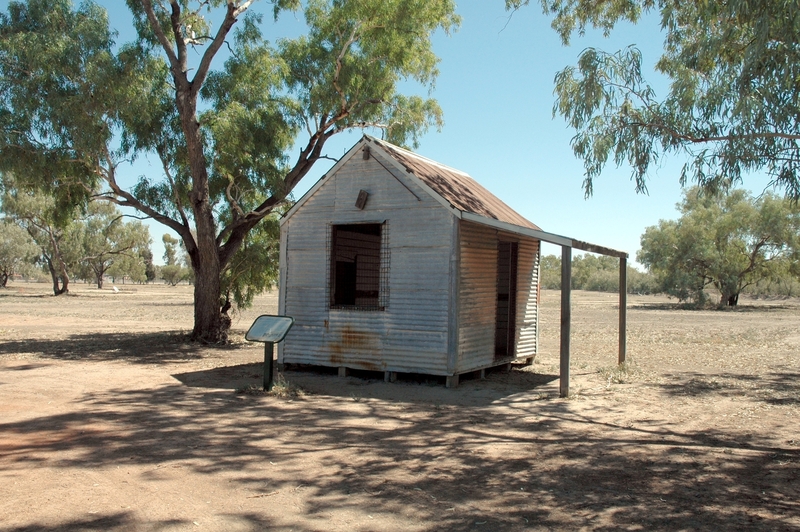 Corrugated iron mosque used by the Afghan Cameleers in Bourke, NSW, built around 1890. Conollyb/Wikimedia Commons. Abstract: Islamic Art is almost invisible in Australian universities. This oversight has far-reaching implications for our broader awareness of Islamic material and visual culture, and restricts the potential for Australians to engage with or contribute to this dynamic field. Teaching Islamic art and design with continual reference to contemporary context is an important means to facilitate cross-cultural dialogue. It also recognizes the global career pathways sought by Australian tertiary graduates. This informs contemporary Islamic art, design and architecture by opening access for new contributions. I developed ART240: Introduction to Islamic Art & Design for Charles Sturt University as a flexible elective. Anyone may enroll for single-subject study. ART240 is taught online over 10 weeks from November to February. This subject balances the spectacular with the vernacular in order to contribute to the cosmopolitan cultural awareness of our graduates. It introduces principles of Islamic art and design in an engaging, approachable, collaborative, and contemporary manner. This paper will present a survey of Australian tertiary approaches to ‘Islamic Art’ in order to establish how and why my new approach was designed, and what distinguishes ART240 from other attempts to engage with Islamic visual culture.